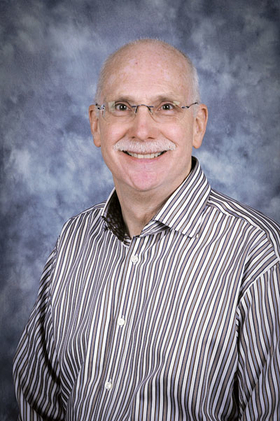 Doug Hartley, founder of Portage Precision Polymers. STOCKHOLM—Hexpol A.B. has acquired the business of Portage Precision Polymers Inc. from founder Doug Hartley and his family. The transaction was completed Dec. 1, and Hexpol said Portage will be integrated into its current operations by the end of January. 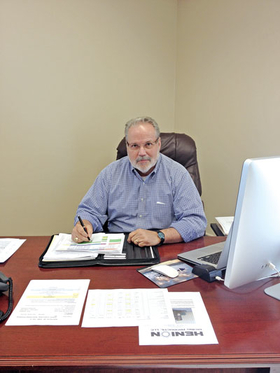 Hartley started the U.S. rubber compounding business in 2002 and operates facilities in Mogadore and Ravenna, Ohio, with a silicone rubber mixing unit in Mogadore. Hexpol said it paid $13.2 million on a cash and debt free basis for Portage, which reported 2013 sales of $29 million. Hexpol has spent about $68.7 million on three acquisitions in 2014. The Ravenna facility is not included in the transaction, but Hexpol said its business will be transferred to other Hexpol facilities—mostly in Middlefield and Burton, Ohio. The company said Hartley will remain with Hexpol Compounding while Portage's other employees are being offered positions at Hexpol. Portage employs about 60 at Ravenna and 10 at Mogadore. “Our industry, as with many industries today, is having a difficult time with sustainability and investing funds back into the businesses for the overall long-term health, safety, and from an OSHA and EPA standpoint,” Hartley said in an email as to why he sold Portage Precision Polymers. Hartley said the Ravenna facility was not included in the sale because of the building's age and the high cost needed to bring it into compliance. Hartley said some of the employees in Ravenna will have job opportunities at Hexpol, either at its Middlefield or Burton facilities. Other openings are available to Portage's staff at other Hexpol facilities in North America, and the firm already has conducted a job fair at the Ravenna plant. “There is tremendous interest in our employee base throughout the community, and I feel that everyone that is interested in still working will have no trouble finding good employment,” Hartley said. Don Picard, vice president of sales and marketing at Hexpol. Don Picard, vice president of sales and marketing at Hexpol, said in an email that Portage broadens Hexpol's customer base and significantly adds to its research and development capabilities. It also increases Hexpol's silicone rubber compounding capacity and adds some end user markets to the firm's portfolio. Portage produced organic compounds at Ravenna and silicone compounds at Mogadore, which also housed Portage's lab and technical development facility and its corporate headquarters. Picard said Hexpol plans to expand its position in silicone compounding, both technically and regionally. Acquiring Portage Precision Polymers likely caps a busy 2014 for Hexpol. It finalized the acquisition of the Vigar Rubber Compounding business from Grupo Vigar for about $23.7 million. Vigar primarily serves the Spanish and German markets from its facilities in Rubi, Spain, and Viersen, Germany. The business employs 134—88 in Spain and 46 in Germany—and reported sales of about $71.2 million in 2013. Hexpol also entered into an agreement to acquire Kardoes Rubber Co. for $31.8 million on a cash and debt-free basis. Kardoes operates out of Lafayette, Ala., with about 90 employees at the time of the transaction. Hexpol is a global polymers group with a presence in advanced rubber compounds, gaskets for plate heat exchangers, and plastic and rubber materials for truck and caster wheel applications. The group has about 3,700 employees in 11 countries and reported 2013 sales of about $1.08 billion.